Belarus is capable of establishing good relations with the EU, without middlemen, President of Belarus Alexander Lukashenko said as he met with Foreign Minister of the Czech Republic Karel Schwarzenberg in Minsk on April 17. “Being interested in cooperation with the European Union, we have repeatedly stated that we do not need middlemen in the relations between Belarus and the EU. We are capable, if there is such will on the part of Europe, of establishing good relations between Belarus, which is a European state, and Europe,” the President said. The head of state assured that in Belarus all are interested in establishing normal relations with the EU. “Recently some statements have been made, mainly here, addressed to you, that Lukashenko is allegedly cheating Europe, that he promises and does not fulfill. You need to know and understand clearly: everything we promise, we will honour. We will tell you straight away if we cannot do something and will explain why,” Alexander Lukashenko said. The President also added that he is happy to meet a representative of the Czech Republic, more so a representative of the EU and the country presiding in the European Union, here in Minsk. For his part Karel Schwarzenberg confirmed that no middlemen are needed for the Belarus-EU dialogue. The sides can agree on everything by themselves. He noted the progress in these relations and assured that the sides can solve the existing problems together. “For us Belarus is a European country. It has always been. It is just that we need a fresh start in the Belarus-EU relations,” Karel Schwarzenberg said. The idea of the Eastern Partnership is to boost these relations, he added. Belarusian companies should use all the available opportunities to promote their products to western markets, including the niches the crisis has driven other producers from. President of Belarus Alexander Lukashenko made the relevant statement as he heard out a report about the country’s social and economic development in Q1 2009 from the government and the National Bank on April 17, the press service of the head of state told BelTA. Opening the session, the head of state remarked: “Earlier you and I agreed that at the end of the first quarter we will comprehend what is going on in our economy”. He added that heads of companies and members of the government assured him of some positive dynamics. “They said they witnessed these changes as early as the end of February – the beginning of March. At the end of Q1 2009 they promised to present proofs of this tendency so that I could see specific results,” said the President. “It is the main motto of today’s session: whether there are the things I was promised when visiting companies and what the tendencies are,” stressed the head of state. The President pointed out several alarming tendencies in the Belarusian economy which require close attention of all government bodies both central and local ones. “It is inadmissible. I believe it is a crime that stockpiles of commodities in corporate warehouses are increasing,” said Alexander Lukashenko among other things. The head of state advised those executives, who cannot cope with difficulties in the modern economic situation, to quit. “If I notice someone’s incompetence, rest assured the decision will be made swiftly,” said the President. The head of state demanded a report about the fulfilment of instructions issued when he visited Belarusian companies. The instructions touched upon preservation of qualified workforce, search for promising market outlets, enhancement of merchandise quality, introduction of severe frugality measures, reduction of inexpedient expenses, and creation of favourable conditions for attracting investments. “Also I’d like to hear the answer whether the government has been tuned to operate like the Trade Ministry,” said the President. According to the Prime Minister, on the whole, Q1 2009 turned out to be difficult for the country. “We gave instructions to pay attention to the industry. The industry gradually but confidently grows on month after month although we expected better results. We expected foreign markets to liven up, but unfortunately it is not happening yet and we have to work in the present conditions,” he remarked. As a positive example of the Belarusian industry operation Sergei Sidorsky named the fact that all products manufactured in March have been sold. The government believes it is necessary to extend credit support to MAZ and BelAZ to the tune of Br550 billion. In Q2 2009 the government expects the GDP growth rate to increase. Speaking about the price policy, Sergei Sidorsky noted, this year the Belarusian government expects inflation to stay under 11%. This March inflation totalled 0.6%. “We have every reason to expect that in the future the monthly inflation will stay under 0.5%,” said Sergei Sidorsky. Alexander Lukashenko said main annual social and economic development targets have not been changed. “It is the goal we all should strive for,” noted the President. Summing up the results, the head of state remarked: “The economic situation is difficult because it is difficult throughout the world. However, the situation is not critical. If we all deliberately work together, we will save the country, preserving the economy at a very high level”. 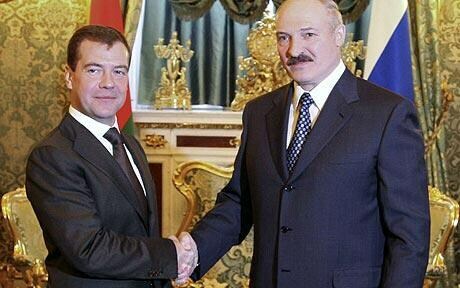 President of Belarus Alexander Lukashenko advises those executives, who cannot cope with difficulties in the modern economic situation, to quit. The President made the relevant statement as he heard out a report about the country’s social and economic development in Q1 2009 from the National Bank of the Republic of Belarus (NBRB) on April 17. “If someone cannot manage the present situation, it will be more honest to just quit. If I notice someone’s incompetence, rest assured the decision will be made swiftly,” said the head of state. “I’d like to hear the answer whether the government has been tuned to operate like the Trade Ministry,” said the President. “How much every government member has earned starting with the Prime Minister and particularly how much the Trade Minister has earned”. Alexander Lukashenko asked NBRB Chairman of the Board Piotr Prokopovich to present a sincere report about banking problems and how they are dealt with. “How has the NBRB policy affected the social and economic development of Belarus? What are banks doing to help address problems of the real economy and social protection of the population? What is their contribution to encouraging the domestic demand for Belarusian products?” asked the head of state. “I think today heads of industries and companies will talk about what their main problems are and what they intend to do about the urgent issues,” said Alexander Lukashenko. He underscored: “I don’t need any reports. I need an essential answer. We have lived three months of the current year. The raging global crisis touched us slightly at the end of the previous year. Now I am interested in changes, whether they are for the better or for the worse”. Czech Foreign Minister Karel Schwarzenberg has handed over an invitation to participate in an Eastern Partnership summit to President of Belarus Alexander Lukashenko. The summit will take place in Prague on May 7. The head of the Czech Ministry of Foreign Affairs made the relevant statement on April 17, BelTA has learnt. The Czech Foreign Minister named claims by some mass media that the Eastern Partnership is a bargaining instrument between Moscow and Brussels as nonsense. “It is total nonsense. The Eastern Partnership is an instrument of good-neighbourly relations,” said Karel Schwarzenberg. He stressed that the Eastern Partnership programme is not a totally altruistic project. “From the economic point of view we are interested in prosperous neighbours, development of their economies, favourable business conditions. We are interested in the development of their civil society,” said the head of the Czech Ministry of Foreign Affairs. “This project is in no way aimed against someone. Contrariwise we are interested in third countries taking part in it,” said Karel Schwarzenberg. He underscored that Russia is the main partner in the north and Turkey is the main partner in the south. In turn, Foreign Minister of Belarus Sergei Martynov said that when the idea of the Eastern Partnership was worked out, relations with third countries were repeatedly discussed. “We believe that the Eastern Partnership will be a successful project if all the interested parties participate in it,” said the head of the Belarusian Foreign Ministry. Belarus has not given up on the intent to sell shares of the country’s major banks to foreign investors in the mid-term perspective, Sergei Dubkov, chief of the main banking supervision department, member of the Board of Directors of the National Bank of Belarus, said at the Privatization and Market Liberalization in Belarus international conference on April 17. The concentration of capital in state-owned banks is quite high, reaching 70% in terms of some parameters of the balance, Sergei Dubkov noted. Such concentration of the banking capital is typical for many countries with various economic models such as the Netherlands, Russia. For example in Russia, 90% of assets are concentrated in 30 major banks, while there are a total of 1,300 banks in the country. According to Sergei Dubkov, last year relevant negotiations were held, technologies designed. Initially the plans were to consider the sale of Belarus’ major banks to foreign investors after 2010. However the successful experience of work with small and medium banks showed that the state is ready to sell controlling blocks of shares in Belinvestbank and BPS-Bank and also 25% stakes in Belarusbank and Belagroprombank. “This intent was voiced in public statements of the government and the National Bank,” he reminded. Yet, the issue lost its urgency in H2 2008 and in early 2009 “taking into account the nationalization of the global banking sector”, Sergei Dubkov said. The governments are in fact overtaking the banking sector and taking an opportunity to manage the banking sector with an access to the relevant resources. At the same time “no deals reached earlier have been turned down,” Sergei Dubkov said. 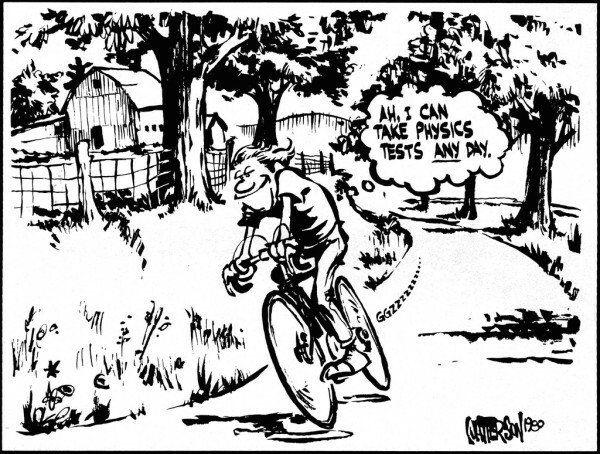 It is yet difficult to speak about long-term prospects. As for the medium-term prospects, the sales of the controlling stakes of the two abovementioned banks are possible in the near future. Belarus also hopes for concrete agreements concerning Belarusbank and Belagroprombank. These banks account for 50% to 60% of the banking sector. “They are increasingly important for the financial stability of the country,” he stressed. According to Sergei Dubkov, certain criteria for the sales of these banks were elaborated in early 2009. In particular, investors can be only the banks from the list of the world’s 25 largest organisations. “Besides, there should be an investment agreement as every bank has its development programme. The investment agreement provides a considerable increase in the capital, bank’s assets and relevant technologies,” Sergei Dubkov said. Yet, some changes have occurred. The world largest banks have gone bankrupt or have been suffering large losses. This all amended the list of potential investors. At the same time Belarus is still interested in the arrival of high-quality big capital in the banking sector as it needs technologies, the representative of the National Bank said. The Belarus State Property Committee has prepared a draft decree on the sale of shares of 44 open joint stock companies by auctions and tenders, Vladimir Kovalevsky, deputy director of the State Property Fund of the Belarus State Property Committee, said at the Privatization and Market Liberalization in Belarus international conference. According to Vladimir Kovalevsky, some investors have already showed their interest in purchasing the stake in the open joint stock companies which were included in the privatization plan for 2008-2010. Thus, the draft decree on the sale of shares of 44 open joint stock companies has been prepared. The shares of 16 open joint stock companies will be sold by auction, the shares of 26 companies – by tenders. With a view to preserving the interest of investors, the State Property Committee is developing the terms of sale of shares, Vladimir Kovalevsky noted. “When we reach understanding with a potential investor, when the interests of the state and investor’s opportunities coincide, we will start to prepare a new draft decree on the sale of another package of state-owned shares,” Vladimir Kovalevsky noted. In January-February 2009, Belarus raised the export of computer and information services by 10.8% from the same period in 2008 to make up $20.5 million, BelTA learnt from the National Statistics Committee. In January-February, the export of services grew 8.3% to total $23.6 million. The services of the operational leasing reached $10.9 million, up 3.8% over January-February 2008. The growth across such basic export services of Belarus as royalty and license fees was more than two times to $5.6 million. Export of architecture, engineering and other technical services was up by 19.6% to $7.4 million. In January-February this year, the export of transport services totaled $320.2 million, down 26.7% over the same period last year. The volume of services related to trips (personal, business, tourist and others) decreased by 16.4% to $40.3 million. The export of Belarus construction services plummeted by 52.2% from the same period last year to $7.2 million. In January-February Belarus’ foreign trade in services amounted to $717.6 million (79.2% as against January-September 2008). Export reached $470 million (78.5%), import - $247.6 million (80.7%). Belarus had a surplus of $222.4 million. The export of services to the CIS countries accounted for 26.5% of the total export, that to the non-CIS countries for 73.5%. Brest Electromechanical Plant intends to modernize the production of agricultural machinery, deputy director of the plant Nikolai Kozich told BelTA. The project of the technical reconstruction of the plant has been included in the catalogue of the investment proposals of the region which was presented at the 2nd Brest Investment Forum. The total cost of the project is estimated at $5.3 million. The project is expected to be implemented within four years. Brest Electromechanical Plant was put into operation in 1963. It produces agricultural machinery, electric meters and household appliances. In 2008, Brest Electromechanical Plant produced goods at the amount of Br54 billion, up 4.4 times as against 2007. More than 90% of the total products – agricultural machinery. The Czech Republic has invited Belarus President Alexander Lukashenko to an EU summit next month, despite criticism of his record on human rights. As current holder of the EU presidency, the Czechs will host the "Eastern Partnership" summit in Prague on 7 May. 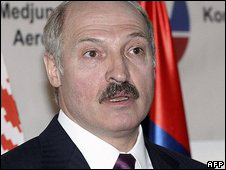 The EU has suspended a travel ban it imposed on Mr Lukashenko and other top officials. The EU wants to develop closer energy and trade links with Belarus and five other ex-Soviet states. But Mr Lukashenko previously indicated that he would not attend the summit, even if he were invited, the Czech news agency CTK reported. The Czech EU presidency said the invitation was made by Czech Foreign Minister Karel Schwarzenberg at a meeting with Mr Lukashenko in Minsk, the capital of Belarus, on Friday. "Belarus itself will decide who will represent the country at the summit," the Czech official statement said. Mr Schwarzenberg "pointed out the problems with registration of several non-governmental organisations" in Belarus, the statement went on. His counterpart Sergey Martynov replied that "society cannot be changed overnight". The other countries invited to the partnership summit with the EU are Armenia, Azerbaijan, Georgia, Moldova and Ukraine. In light of the recent riots in Moldova, neighbouring Romania - an EU member state - has pledged to fast-track citizenship applications from Moldovans. But the Czech Deputy Prime Minister, Alexandr Vondra, has told Romania of his "serious concern about the risks that would arise if Romania adopted a simplified procedure of granting citizenship". Moldova-Romania relations soured last week, with Moldovan President Vladimir Voronin accusing Romania of trying to topple his government by supporting the anti-communist protesters. Moldova expelled Romania's ambassador and introduced visas for Romanians. The EU has stepped up diplomatic contacts with Belarus since the authorities in Minsk released political prisoners last year. Mr Schwarzenberg's visit included a meeting with opposition representatives, who were quoted as saying the situation in Belarus had "recently been changing for the better, albeit the changes are not system-related". "Officials who violate human rights by repression are not being held accountable," the statement quoted them as saying. Correspondents say Mr Lukashenko has kept many characteristic features of the Soviet period - above all, a political system that suppresses dissent and obedient media that devote much coverage to the leader's activities. Belarussian companies that work closely with Russia could become entitled to state help as part of Moscow's anti-crisis measures, Russian Economy Minister Elvira Nabiullina was quoted as saying on Thursday. Moscow has made a list of key strategic companies that are entitled to state help as the Russian economy slips into its first recession in a decade. We have agreed with the Belarussian side a list of companies which can be considered as candidates for state support measures,' Russian news agencies quoted Nabiullina as telling Russian Prime Minister Vladimir Putin. Russia, which holds the world's third-largest gold and forex reserves, has taken on a self-styled 'big brother' role in the region of the former Soviet Union, handing out loans to help some of its neighbours through the global economic crisis. Last year it granted Belarus -- arguably its political ally in the region -- a $2 billion 15-year stabilisation loan . Agricultural economies of Gomel oblast became the first in Belarus, which completed the sowing campaign of early grains, declared the Ministry of Agriculture and Food on April 17. Agrarians of the oblast sowed spring grains and legumes throughout 129.800 ha or 100.8% of planned areas. Brest and Grodno oblast almost completed the spring sowing campaign – 94% and 95% of planned areas respectively. Minsk oblast sowed spring crops throughout 74% of planned territory, Mogilev oblast – 52%, Vitebsk oblast – 41%. Despite the prolonged beginning of the sowing campaign, agricultural economies almost reached the level of the previous year at the rates of sowing activity and additional fertilizing. The majority of the oblasts (except of Vitebsk) will finish the sowing campaign of early spring grains and legumes in the nearest future. Agrarians sowed maize throughout 7 thsd ha only. Brest, Grodno, Gomel and Minsk oblasts began maize filed works. 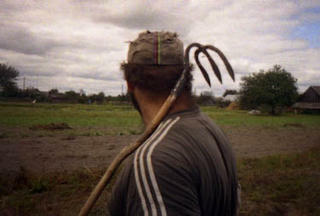 In general, Belarus provided the sowing works of spring crops throughout 871.000 ha or 38% of planned areas. At the same time, agricultural organizations of Grodno oblast showed the highest rates of the sowing campaign, where agrarians provided the filed works throughout 47% of planned areas, Brest oblast sowed 45.5% of land areas, Gomel oblast – 43,7%, Minsk oblast – 39%, Mogilev oblast – 25%, Vitebsk oblast – 21%. According to estimations of specialists, agricultural economies of Belarus will complete the sowing campaign of main spring crops on May 9. Russia has welcomed the invitation of Belarusian President Alexander Lukashenko to the European Union''s Eastern Partnership summit. Russia had always told its European Union (EU) partners that sanctions and isolation of Belarus, our friend, were unpromising, Russian President Dmitry Medvedev's special aide Sergei Prikhodko said in a statement. ''We are glad that the realistic approach to Belarus has won,'' Mr Prikhokko said, referring to the summit scheduled to take place in Prague on May 7. Mr Lukashenko yesterday said he was committed to cooperation with the European Union, but refused to engage the country's opposition to improve relations. ''We want to improve relations with the EU. We have repeatedly said Belarus does not accept third parties in its dialogue with the EU,'' he said after talks with the Czech Republics Foreign Minister Karel Schwarzenberg, the current EU president. The Belarusian President also accused the opposition of destabilising the country and provoking tensions in ties between Minsk and Brussels. Belarus and the EU have moved to mend their ties recently. President Lukashenko freed several political prisoners last October following demands from the 27-nation bloc, which then suspended a travel ban on him, imposed following the 2006 election it described as flawed. Mr Lukashenko, who has led Belarus since 1994, has been criticised for clamping down on dissent and human rights. Mr Schwarzenberg said the time had come "to give a positive start to relations between Belarus and the EU," and invited Lukashenko to attend the Eastern Partnership summit. The programme is designed to improve human rights and the rule of law in six former Soviet republics, including Belarus, Moldova, Ukraine, Georgia, Azerbaijan and Armenia, and address trade and visa issues. Belarusian President Alexander Lukashenko will meet Pope Benedict XVI in the Vatican next week, Italian Foreign Minister Franco Frattini said on Friday in the corridors of an international disarmament conference in Rome. An audience in the Apostolic Palace has tentatively been scheduled for Sunday, April the 26th. President Lukashenko will arrive in Rome at the invitation of the Secretary of State of the Holy See Cardinal Tarcisio Bertone who paid a pastoral visit to Minsk last year. It was then when Alexander Lukashenko invited Pope Benedict XVI to visit Belarus. The Italian foreign minister didn’t comment on other details of Lukashenko’s visit linked to bilateral relations between Belarus and Italy. Observers say that last year the European Union excluded Lukashenko from its blacklist of persons banned from entry to the EU. There had been a thaw in relations between Belarus and the European Union. The Belarusian authorities made some concessions to the opposition while the European Union, in turn, lifted visa restrictions on Lukashenko and some other high-ranking Belarusian officials. Co-head of the Belarusian Christian Democracy party Paval Sevyarynets commented on the dispersal of the action of solidarity in Minsk. “It is an extremely rudeness! A peaceful action of solidarity with political prisoners and missing people is cynically dispersed on the day when Czech foreign minister Karel Schwarzenberg is visiting Minsk.riot militiamen beat unarmed people, twist their arms and insult with obscene words. It was done blatantly and impudently. 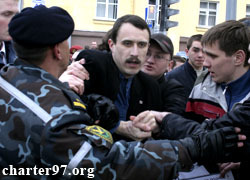 The dispersal of the today’s demonstration shows that teh essence of the Belarusian regime doesn’t change,” he told in an interview to the Charter’97 press center. Paval Sevyarynets is especially concerned over the fact that the authorities set Belarusians at democrats who protest against the unfair regime. “This is sad that young riot militiamen are set at their countrymen. These guys, riot militiamen, are Belarusians like all of us, but they have souls poisoned with the regime’s propaganda,” Paval Sevyarynets said. According to him, “the Belarusian regime hasn’t learnt anything” for the time of its existence. “Rudeness will be rudeness, brutality will be brutality, lawlessness will be lawlessness. There was time I thought may change for the better. If there were some doubts earlier, it is clear now they are not going to change anything in their course,” the Christian democrat emphasized. It should be reminded that a peaceful action of solidarity with political prisoners and disappeared politicians was brutally dispersed in Minsk on April 16. People who came to October square were beaten cruelly by riot militiamen. Karel Schwarzenberg, foreign minister of the Czech Republic, holding the EU residency, arrived in Minsk on Solidarity Day. 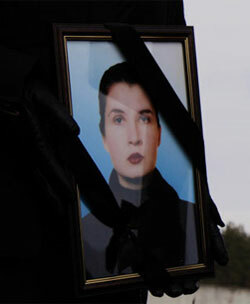 Minsk Regional Court panel of judges have dismissed the case of Yana Paliakova due to her death. The claim was lodged by Paliakova’s lawyer Mariana Siameshka. State Prosecutor Rusakovich is against the repeal of the sentence. He thinks that the case can only be dismissed due to the death of the convict. According to Ms.Siameshka, the decision does not stand for rehabilitation, but is only a repeal of the sentence due to the inability to execute the verdict. The lawyer of Yana Paliakova, a human rights activist who committed suicide on 7 March after she was found guilty of ‘false denunciation’ and sentenced to 2.5 years of prison, say they are going to appeal the decision at a higher authority. The glittering Christ the Savior Cathedral is more than just Moscow's most opulent place of worship. Built in the 1990s as a replica of a church dynamited by Communists in 1931, the cathedral symbolizes the Moscow Patriarchate's rising political influence -- which may be greater today than at any time since the 17th century. It also serves as global headquarters of business operations that experts say are worth several billion dollars. To tens of millions of Russian Orthodox believers, the church is first a sacred institution, a pillar of Russia's 1,000-year-old identity and culture. The death of Patriarch Alexy II in December caused an outpouring of grief. On Feb. 1, top clerics enthroned Alexy's successor, Kirill, in a cathedral filled with celebrities and political leaders. The first person to receive communion from Patriarch Kirill was President Dmitry Medvedev's wife, Svetlana. These events would have been unimaginable in the Soviet era, when the officially atheist Communist government defrocked and imprisoned tens of thousands of clerics of all creeds. Now, the church "has become a serious power in society," former Soviet leader Mikhail Gorbachev said last month. But critics claim that in the past decade, the Moscow Patriarchate has sacrificed some of its spiritual authority in the pursuit of political power and commercial success. Some go as far as to compare the church to its former nemesis, the Communist Party's ruling Politburo. Roman Lunkin of the Keston Institute, which studies religion in the former Soviet Union, says the church has "turned into an authoritarian and totalitarian structure." A priest who condemned the 2005 conviction and imprisonment of former oil tycoon Mikhail Khodorkovsky, a leading foe of then-President Vladimir Putin, was defrocked and appointed to guard a church store in 2006. The church said the decision had to do with the priest's "discipline." Bishop Diomid of Chukotka, who lambasted Alexy II's alleged subservience to the Kremlin, found himself demoted to the rank of a monk last year. The church accused Diomid's supporters of planning to seize power in the Patriarchate. A church council excommunicated Gleb Yakunin, a priest and former lawmaker, in 1997 after he headed a government commission that concluded that most top clerics were KGB informers. Today, Yakunin, 74, who spent years in gulags for criticizing Soviet religious policies, leads the Apostolic Orthodox Church, a splinter group that is harassed by authorities in Russia and Belarus. 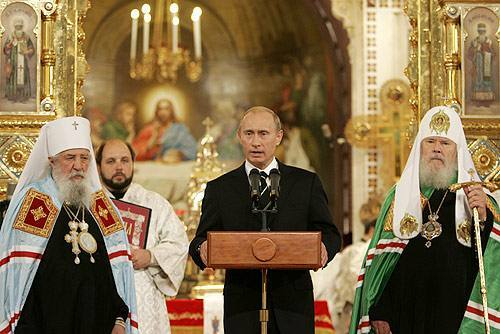 Despite the Russian constitution's legal separation of church and state, President Boris Yeltsin and his successor, Putin, forged a political alliance with the church, an alliance that has continued under Medvedev. The church has blessed Kremlin plans to eliminate some social benefits for the elderly, called on youth to volunteer for military service in Chechnya and consecrated battleships and nuclear missiles. It also has supported the Kremlin's official ideology, which asserts that Russia's unique historic role makes it unsuited for Western-style liberal democracy. Its political loyalty has paid handsomely. Federal and local authorities have granted the church donations, tax breaks and broad immunity from government regulation of its businesses. Moscow officials, in particular, have helped the church raise money for favored causes by pressuring private business to contribute. According to Nikolai Mitrokhin, director of a research institute that studies religions in the former Soviet Union, the church built its fortune starting in the 1990s through trading in tobacco and alcohol; exporting oil and sturgeon; building shopping malls and hotels; and operating jewelry stores. The church also runs book publishing concerns and organic farms. Church spokesman Father Vsevolod Chaplin confirmed that the Patriarchate controlled many business operations. But he said the tobacco and oil businesses were not profitable and that the church isn't involved in them now. He also dismissed the notion that the church's commercial deals had undermined its spiritual mission. "I don't see anything detrimental if the church can invest in this kind of work," he said. The Patriarchate does not make its financial reports public, but Mitrokhin estimates the Orthodox Church's annual income at several billion dollars. This secrecy has led to allegations -- denied by the church -- that it has engaged in money laundering. "All of their financial streams flow in the dark," said Sergei Filatov, a scholar of religion at Moscow State University. Today, the church says nearly half of its income comes from the four-star Danilovsky hotel in Moscow, located 5 miles south of the Kremlin, and a factory outside the capital that produces icons and other religious items. "We still have to rebuild what Communist iconoclasts destroyed," said Father Vitaly, 51, a priest from the central city of Vladimir. "Funds won't fly down from the sky." Russian film director Fyodor Bondarchuk got the Russian internet buzzing Tuesday when word got out that he was asserting that present-day Russia was descending into a totalitarian regime. 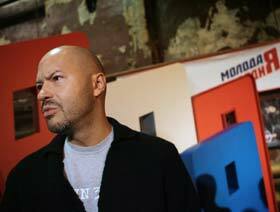 Speaking at a press-conference for the second installment of his latest film, The Inhabited Island, Bondarchuk was asked to speak on symbolism in the movie. The futuristic sci-fi flick, based on a 1971 novel by Arkady and Boris Strugatsky, takes place on a planet ruled by a military dictatorship, where authorities use a network of towers as mind-control devices over the population. Bondarchuk, a member of the ruling United Russia party, told the audience that “we are heading into the toilet,” suggesting that the film’s towers represented propaganda and the complete lack of media freedom in Russia. The words were picked up in the Russian blogosphere, spreading like wildfire after they appeared on the Kasparov.ru online newspaper. A full transcript of the press-conference (Rus), however, seems to contradict Bondarchuk’s later comments. It is unclear what problems Bondarchuk was referring to, and what the consequences of the director’s words will be. Composition of parliament unchanged; recount took place after violent clashes. The composition of Moldova's parliament remains unchanged after a recount of votes from the parliamentary election of 5 April, the country's election commission announced today (17 April). The recount was conducted on Wednesday (15 April) following protests in the capital Chisinau that turned violent and led to the storming of parliament. At the height of the demonstrations, the security forces arrested scores of protesters - including those demonstrating peacefully - and there have been reports of serious abuses. Police transferred two bodies of detainees bearing signs of torture to a hospital in Chisinau, according to human rights activists. The European Union condemned the violence. Opposition parties represented in parliament boycotted Wednesday's recount. They say that the problem was not with counting the votes but with pervasive irregularities in compiling voting lists. Between 10% and 30% of the votes were fraudulent, the opposition says. Moldova has been under Communist rule since elections in 2001. Under President Vladimir Voronin, the country has moved closer to the EU. It is one of six countries to be included in the EU's eastern partnership, to be launched next month at a summit in Prague. However, the current turmoil has strained relations with the EU. Voronin accused Romanian agents of provoking the violent protests. Filip Teodorescu, Romania's ambassador, was expelled on 8 April. The regime in Chisinau also prevented most foreign reporters from entering Moldova and imposed visa requirements on Romanian citizens. Moldova has deep cultural and historical ties with Romania. Romania's president, Traian Basescu, proposed to his national parliament to make it easier for hundreds of thousands of Moldovans to gain Romanian citizenship. The Czech presidency of the EU expressed its “serious concern” at the plan. The EU has been careful to avoid criticising Voronin too harshly. It fears that doing so would endanger the eastern partnership even before it starts and drive Moldova back into the Russian embrace. It is not clear whether Voronin plans to attend the Prague summit. Kalman Mizsei, the EU's special envoy to Moldova, has been mediating between government and opposition, according to diplomats, but so far without tangible results. Mizsei's normal role is to mediate in the peace process over the Russian-backed, separatist Moldovan province of Transdniester. Mirek Topolanek, Czech prime minister, announced yesterday that he would travel to Chisinau next Wednesday (22 April) to discuss the fallout from the elections and present the EU's views. The day after Topolanek's visit to Moldova, Benita Ferrero-Waldner, European commissioner for external relations, plans to present her assessment of relations with Moldova as part of her review of the EU's neighbourhood policy. EU foreign ministers will then discuss the situation when they meet in Luxembourg on 27 April. These developments come just weeks before the 7 May summit in Prague that launches the EU's eastern partnership with six countries in eastern Europe and the south Caucasus. The initiative offers closer ties with the EU without, however, holding out the prospect of membership. Karel Schwarzenberg, the Czech foreign minister, was in Belarus today to discuss the eastern partnership with the government of President Alyaksandr Lukashenka, the country's authoritarian ruler, and to extend an invitation to the summit. Lukashenka said after the meeting that he wanted to improve relations with the EU, the RIA Novosti news agency reported. The partnership is to include EU neighbours Belarus, Moldova and Ukraine and the countries of the south Caucasus - Armenia, Azerbaijan and Georgia. Polish police detained four people, including two former players and a referee, in connection with an ongoing investigation into corruption in Polish football. In detentions were made in four different cities on Wednesday, with police only identifying the individuals as referee Mariusz P., match observer Piotr K., former Wisla Krakow goalkeeper Artur S. and another former Wisla player Grzegorz K.
The suspects' full names were not released in line with Poland's privacy regulations, but the only former Wisla keeper with such a name is Artur Sarnat. All four suspects were being driven to Wroclaw in southwestern Poland, where they would be questioned and charges could be filed, Wroclaw prosecutor Jerzy Kasiura said. So far they have detained some 200 people suspected of fixing matches. Among them are members of the Polish Football Federation, coaches, referees and players. Earlier this month, a court in Wroclaw handed prison terms of up to four years to 17 people, including club officials and referees in the largest corruption trial in the history of Polish football. Eight hundred marijuana plants have been discovered on a professional plantation In Western Pomerania, near Szczecin – police arrested the plantation owner and narcotics distributor. This is the fourth liquidation of such narcotics plantations in the northwestern region of Poland this year. The plantation was found underground in a potato cellar, lit with artificial lighting, accompanied by an extensive irrigation and ventilation system. In total, police in the area have liquidated four similar plantations, arrested seven people and seized almost half a million bushes of Indian cannabis in a anti-narcotics operation in the region. Polish police have broken up a criminal gang that spread forged 50 and 100 euro banknotes across the European Union, notably in France, Germany, the Netherlands and Spain, authorities said Wednesday. The criminal ring is suspected of having put tens of thousands of fake euros into circulation across the 27-nation bloc. A total of 32 suspects were detained in the operation, which was conducted after a year-long probe hand in hand with Europol, the EU's police agency. "Police took advantage of the Easter holidays to prepare for and carry out the arrests," national police spokesman Mariusz Sokolowski told AFP. Sokolowski said that the head of the gang, whom he identified only as Radoslaw B., 29, came from Poland but also had an address in Italy. The vast majority of those arrested were Polish citizens, but a Romanian woman was also detained, prosecutor Beata Syk-Jankowska told AFP. Most have already been charged and have admitted their guilt. They risk up to 10 years in prison. Twenty-five of the suspects were snared in their homes during simultaneous raids in 30 locations in Poland's eastern Lublin province Tuesday. The dragnet involved 300 police officers and members of the national anti-terrorist squad. Two other individuals turned themselves in, five were detained earlier, and more arrests are in the cards, Syk-Jankowska said. "The gang members, particularly those in their twenties, travelled abroad and met with other members of the network who gave them forged notes," she explained. "They used these notes in shops and then brought the change they received back to the gang leaders, in return for a payment," she added. Sokolowski said that police had not yet located the print-shop where the forged euros were turned out. "We're working on that. It's outside Poland, in another EU member state," he said, refusing to elaborate because the probe was still under way. Minsk Dinamo HC has reached an agreement to sign a contract with Swedish forward Jonas Andersson, BelTA learnt from the Minsk Dinamo press service. This season Jonas Andersson played for Karpat from Oulu, Finland, which became vice-champions of the Finnish national ice hockey championship. The forward scored 57 points (24+33) in 55 matches and was second most efficient player of the team after Toni Koivisto, whose statistics were 23+39= 62. In the 15 playoff matches Jonas Andersson scored 10 (6+4) points, the third best result in the team. Last season Jonas Andersson played for HPK and won the Finnish championship with them. He also played for Swedish Sodertalje SK and Brynas IF in Elitserien. He then moved to the Finnish SM-liiga, playing for Ilves. Jonas Andersson started his career with Swedish juniour league and was selected number 33 in the second round of the 1999 NHL Entry Draft by the Nashville Predators. Minsk Dinamo has also signed a contract with Jokerit defenseman Mikko Jokela and is negotiating with Czech defenseman of Sweden's Farjestad Martin Sevc. The year of Russian culture in Belarus will present the entire paradigm of the modern Russian art, Russian Culture Minister Alexander Avdeyev told media in Minsk on April 15 as he visited the National Arts Museum of Belarus. “Demonstrating the entire range of modern art of Russia to Belarusian brothers is our way. We’ve brought the most authoritative ballet, which is the symbol and simultaneously the school only the brightest stars can master,” said the Minister. Speaking about events in provinces, Alexander Avdeyev said the programme had been compiled taking into account desires of the Belarusian side. All of them had been taken into consideration: for a year Belarusian viewers will be able to see ballet, artistic work and pop art. According to the Russian Culture Minister, with the economic integration in place, the Union State should think about the next step — creating a common cultural space. It should be the space to enable museum exhibits, theatre, pop art, circus, symphonic orchestras and other musicians to travel around the entire Union State. It should be done in a way to prevent the existence of cultural provinces and the cultural metropolis. In the common cultural space the art of both countries, historical and cultural values of Belarus and Russia will be equally accessible to residents of large cities and provinces. The year of Russian culture in Belarus will open with a Swan Lake ballet by the Bolshoi Theatre of Russia on April 15. The Simon Bolivar Latin American Cultural Centre opened in Minsk on April 13. The centre will promote national cultures, traditions and history of the Latin American countries, it will gather the Hispanics who live and work in Belarus, Ambassador Extraordinary and Plenipotentiary of the Bolivarian Republic of Venezuela to the Republic of Belarus Americo Diaz Nunez told reporters during the opening ceremony. The centre has been named in honour of Venezuelan national hero – liberator Simon Bolivar who is the symbol of the fight for independence in the Latin American countries. Owing to that great politician and military man, Venezuela liberated from the Spanish dominancy in early 19th century. Under the command of Simon Bolivar, Spanish armies were destroyed in Colombia, Panama, Ecuador and Peru. The main dream of Simon Bolivar was to unite all the countries of South America. The Simon Bolivar Latin American Cultural Centre in Minsk will popularize the culture of the Latin American countries in Belarus, the diplomat underscored. According to Ambassador Extraordinary and Plenipotentiary of Cuba to Belarus Omar Medina Quintero, the residents of Minsk and all the guests of the centre will be able to get familiar with the national cultures of Venezuela, Cuba, other countries. The Cuban diplomat noted great contribution of the Venezuelan ambassador to opening the centre. Deputy Culture Minister of Belarus Viktor Kurash noted that the opening of the centre is a regular step on the way of development of the Belarusian-Venezuelan cultural relations. Attending the opening ceremony were ambassadors of foreign countries, heads of diplomatic missions of the Latin American countries accredited in Russia and Belarus on concurrent, representatives of Belarusian ministries and governmental departments, universities, Venezuelan students. Visiting the centre the guests got familiar with the library of the books in Spanish and Russian. The centre offers special halls to hold conferences and give lectures. Four leaders suspected of having blood on their hands, another president who let police beat up peaceful protesters and a lame duck are to receive invitations to an EU summit in May. The Czech EU presidency's foreign minister, Karl Schwarzenberg, personally handed an invitation to autocratic Belarus President Alexander Lukashenko in Minsk on Friday (17 April). Similar invitations will be sent to Moldova, Armenia, Azerbaijan, Georgia and Ukraine by Monday. The form of the invitation leaves each country free to decide who to actually send. But Mr Schwarzenberg's spokeswoman, Zuzana Opletalova, said Prague expects to host "generally presidents or prime ministers - it depends on the constitution of each country." The "Eastern Partnership" summit is a Polish-Swedish initiative to promote democratic reform and boost EU energy security through better relations with the six former Soviet states. But human rights activists have accused the EU of putting geopolitical games ahead of foreign policy ethics in the scheme. The darkest stain on Mr Lukashenko's reputation is the disappearance on his watch in 1999 and 2000 of four opposition activists, whose families are still campaigning for judicial enquiries today. In an eccentric public relations campaign, Mr Lukashenko has started to bring his four-year old son, Kolya, to top-level meetings, such as a summit with Armenian President Serzh Sargsyan in March. Asked if the boy would be welcome to meet the 27 EU leaders in Prague on 7 May, Ms Opletalova repeated: "It is up to each country to decide who to bring." Kolya's presence may also be required in Mr Lukashenko's biggest public relations coup to date: the Vatican on Friday told Reuters that he will meet the Pope later this month. Meanwhile, the question of who Moldova will send to the EU summit is wide open. The country currently has no official government after inconclusive elections on 5 April. Caretaker President Vladimir Voronin is expected to informally retain control by taking the powerful post of parliament speaker or chair of the Communist party, leaving the option of a puppet president speaking for him in Prague. The Voronin administration has the death of three opposition protesters on its record after a police crackdown on 7 April, with the president this week announcing an amnesty that covers security forces involved in the killings. Armenia's Mr Sargsyan has yet to hold anyone to account for post-election violence in March 2008 in which eight protesters and two policemen lost their lives. At least 300 protesters sustained serious injuries in clashes in Azerbaijan after President Ilham Alyiev was voted to power in October 2003. NGO Human Rights Watch says security forces also beat to death one man, 52-year old Hamidaga Zakhidov. In a different league to the four men above, Georgia's President Mikheil Saakashvili fell from grace in terms of democratic credentials in November 2007 when riot police hospitalised 508 peaceful protesters in Tbilisi. A fresh round of anti-Saakashvili protests entered its eighth day in the Georgia capital on 17 April, with the president showing restraint for the time being but with the opposition hoping for a second crackdown to help oust him from power. Ukrainian President Viktor Yushchenko emerges as the cleanest of the six EU summit candidates. Ukraine transport minister Heorhiy Kyrpa was found dead in his home with gunshot wounds to the head shortly after the Orange Revolution that brought Mr Yushchenko to power in November 2004. The country's former interior minister Yuri Kravchenko also died in suspicious circumstances in March 2005. The deaths of the two men, both loyal to the pre-Orange Revolution regime, were never linked to the new administration. But Mr Yushchenko is himself a ghost politically-speaking, with long-running allegations of corruption and incompetence seeing his approval rating hit just four percent ahead of presidential elections later this year. President Barack Obama offered a spirit of cooperation to America's hemispheric neighbors at a summit Saturday, listening to complaints about past U.S. meddling and even reaching out to Venezuela's leftist leader. While he worked to ease friction between the U.S. and their countries, Obama cautioned leaders at the Summit of the Americas to resist a temptation to blame all their problems on their behemoth neighbor to the north. "I have a lot to learn and I very much look forward to listening and figuring out how we can work together more effectively," Obama said. Obama said he was ready to accept Cuban President Raul Castro's proposal of talks on issues once off-limits for Cuba, including political prisoners held by the communist government. While praising America's initial effort to thaw relations with Havana, the leaders pushed the U.S. to go further and lift the 47-year-old U.S. trade embargo against Cuba. To Latin American nations reeling from a sudden plunge in exports, Obama promised a new hemispheric growth fund, an initiative to increase Caribbean security and a partnership to develop alternative energy sources and fight global warming. As the first full day of meetings began on the two-island nation of Trinidad and Tobago, Obama exchanged handshakes and pats on the back with Venezuela's Hugo Chavez, who once likened President George W. Bush to the devil. In front of photographers, Chavez gave Obama a copy of "The Open Veins of Latin America: Five Centuries of the Pillage of a Continent," a book by Eduardo Galeano that chronicles U.S. and European economic and political interference in the region. When a reporter asked Obama what he thought of the book, the president replied: "I thought it was one of Chavez's books. I was going to give him one of mine." White House advisers said they didn't know if Obama would read it or not. Later, during a group photo, Obama reached behind several leaders at the summit to shake Chavez' hand for the third time. Obama summoned a translator and the two smiled and spoke briefly. Those two exchanges followed a brief grip-and-grin for cameras on Friday night when Obama greeted Chavez in Spanish. "I think it was a good moment," Chavez said about their initial encounter. "I think President Obama is an intelligent man, compared to the previous U.S. president." At a luncheon speech to fellow leaders, Chavez said the spirit of respect is encouraging and he proposed that Havana host the next summit. "I'm not going to speak for Cuba. It's not up to me... (but) all of us here are friends of Cuba, and we hope the United States will be, too," Chavez said. The White House said Chavez was civil in his criticism of the U.S. during a summit meeting, but that there was no discussion of reinstating ambassadors who were kicked out of each other's countries last year. "Relationships depend on more than smiles and handshakes," Obama economic adviser Larry Summers told reporters later. Bolivia President Evo Morales, a close ally of Chavez, said Obama's pledge of a new era of mutual respect toward Latin America rings hollow. "Obama said three things: There are neither senior or junior partners. He said relations should be of mutual respect, and he spoke of change," Morales said. "In Bolivia ... one doesn't feel any change. The policy of conspiracy continues." Morales expelled U.S. ambassador Philip Goldberg in September and kicked out the Drug Enforcement Administration the next month for allegedly conspiring with the political opposition to incite violence. Chavez expelled the U.S. ambassador in Venezuela in solidarity. The Bush administration subsequently suspended trade preferences to Bolivia that Bolivian business leaders say could cost 20,000 jobs. Obama also extended a hand to Nicaragua's Daniel Ortega, whom President Ronald Reagan spent years trying to drive from power. Ortega was ousted in 1990 elections that ended Nicaragua's civil war, but was returned to power by voters in 2006. Ortega stepped up and introduced himself to Obama, U.S. officials said. But a short time later, Ortega delivered a blistering 50-minute speech that denounced capitalism and U.S. imperialism as the root of much hemispheric mischief. The address even recalled the 1961 Bay of Pigs invasion of Cuba, though Ortega said the new U.S. president could not be held to account for that. "I'm grateful that President Ortega did not blame me for things that happened when I was three months old," Obama said, to laughter and applause from the other leaders.